Supriya Mohile, a professor of medicine, has been jointly appointed as the Philip and Marilyn Wehrheim Professor for the period July 1, 2018, through December 31, 2022. Mohile retains her joint appointments as a professor of oncology and as a professor of surgery. 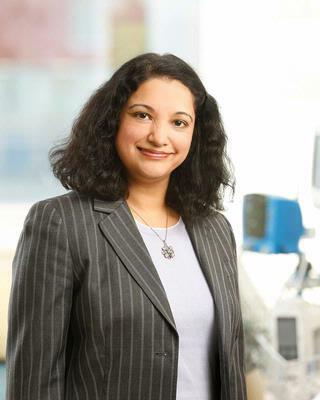 Mohile is a board-certified geriatrician and oncologist with clinical expertise in treating patients with genitourinary and gastrointestinal cancers. As the director of geriatric oncology, she has developed a robust clinical and research program in geriatric oncology at the Wilmot Cancer Institute. Her research interests include the evaluation of patterns of care, health outcomes, and quality of life related to treatment for systemic cancer in older patients. Her work has been published in the Journal of Geriatric Oncology, the Journal of Clinical Oncology, Cancer, JAMA Oncology, among other publications. Mohile has earned a lengthy list of awards and honors from the American Geriatrics Society, the American Society of Clinical Oncology, the Society of International Geriatric Oncology, among other local, national, and international organizations. A graduate of Pennsylvania State University, Mohile earned her MD at Thomas Jefferson Medical School. She completed internship, residency, and fellowships in hematology/oncology and geriatrics at the University of Chicago Medical Center, where she also earned a master’s degree in health outcomes research.